The Blue Persuasion is a doodle dream! 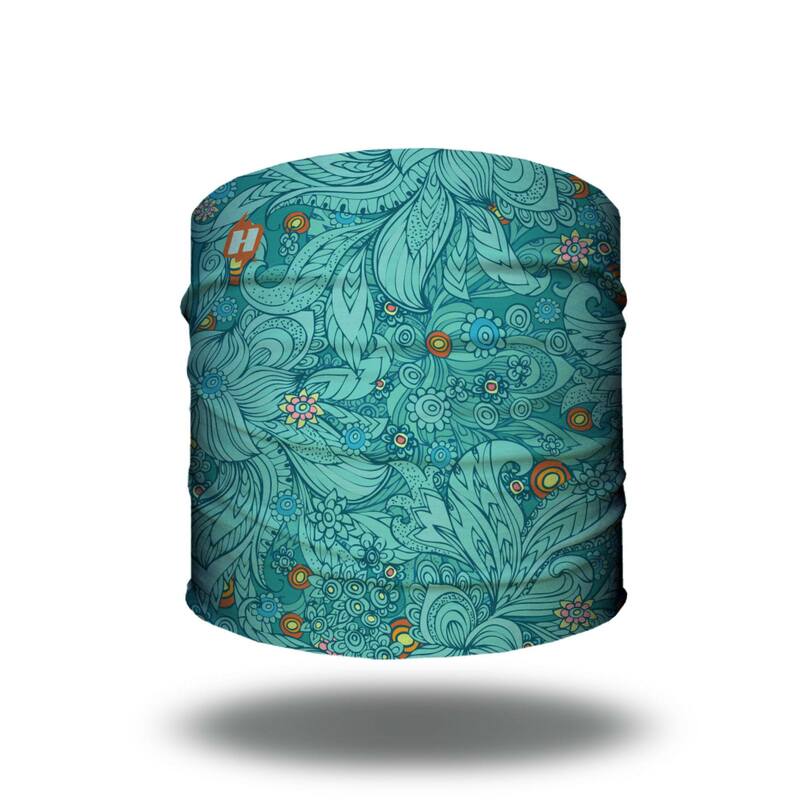 Swirls of aquamarine floral will have you feelin’ good and groovin’ to the beat. 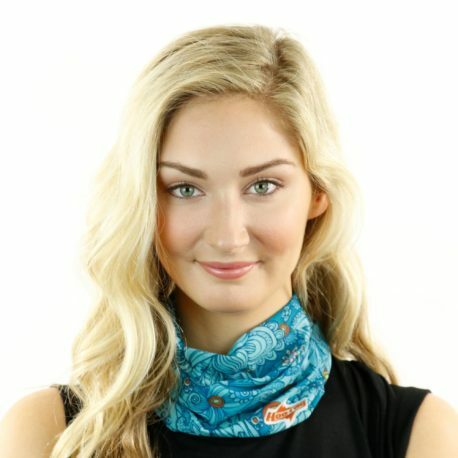 This design is perfect for hiking, fishing, and fitness! Love the comfortable and lightweight fabric as well as the gorgeous pattern! Awesome fabric and gorgeous, vibrant colors! I use mine daily— well, I mean do switch it up a bit between the several I have 🙂 I just love the versatility, comfort and quality! These are suitable for FAR more than just athletics and fitness endeavors. They can be worn in casual as well as for “dressier” occasions with jewelry, make-up, etc. I have received many compliments either way. 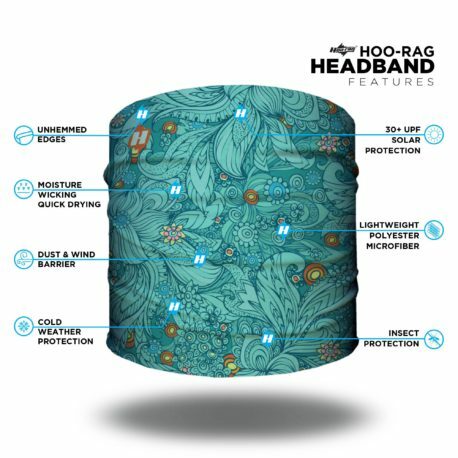 Also, on a more practical note, many similar products have a visible, annoying and uncomfortable seam and tags — NOT the Hoo-rag! Also, these are gentle on your hair and edges. Basically all around great product! I highly recommend! A Hoo’d head is a happy head! Great headband. It fits well and is great for working out! This was my first hoo! I love the color and pattern. It”s perfect as a headband or hair tie, and it’s great for keeping the sun off your neck. This is one of the several Half Hoos I have purchased for yoga. I loaned this design to my friend to try during her sweaty yoga classes. She loved it too. They are lightweight and comfortable. 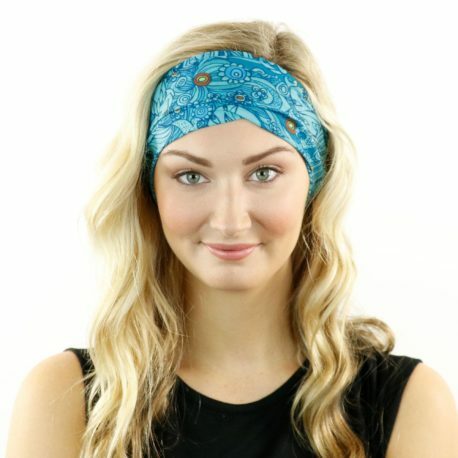 Definitely my favorite headband for keeping my hair out of my face and sweat out of my eyes. Practical & pretty! I’ve owned several hoo-rags and I haven’t met a hoo I didn’t like! The half hoo is a perfect size to keep the hair & sweat off your face during your workouts. Lightweight, washes well, maintains its shape & color. I highly recommend it for runners & fitness junkees!